My last October trip to Bury Hill chasing zeds and I was joined by fellow zander newbie, James. Arriving just after dawn we were quickly set up and were getting knocks, I'm going to call them knocks as although they were fish then definitely were not runs. The first positive run was to James and resulted in the zander above, about 12oz - the smallest in the lake? 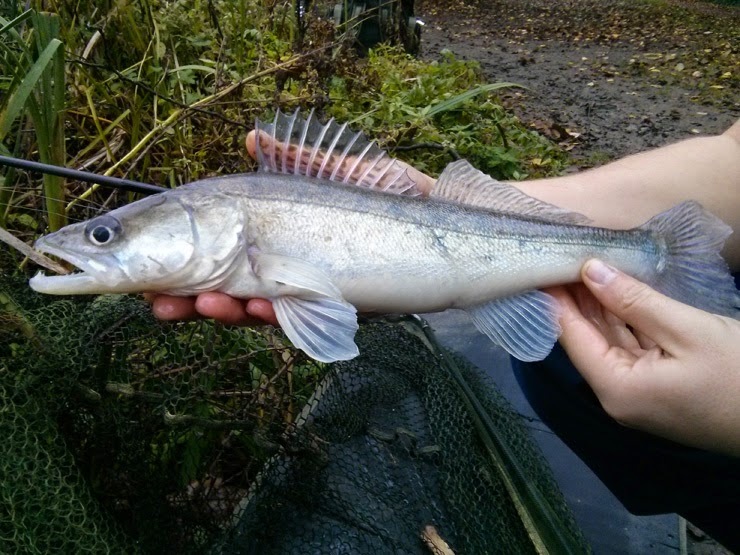 No, the next proper run was mine and the mini zander below was winched in - very cute and still a zander! 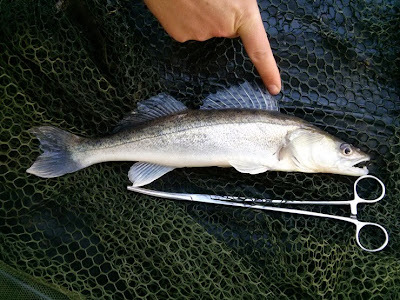 The rest of the morning and afternoon was punctuated with the odd knock here and there and only one decent run to me resulting in a beautiful zander about 2½lb (below). They really weren't on the feed today, but that didn't matter - we had a plan. Afternoon turned into evening and we sat it out into the dark. Zander love hunting in the dark, right? Nearly four hours fishing in zed prime-time and even the knocks dried up. Only one real run materialised out of the darkness, and that was to James' rod. A new PB for James but I'll leave that to his blog. Four 'runs' - four fish. A couple of other zeds were caught on the lake but most anglers turned in a blank. They are not an easy fish to catch! 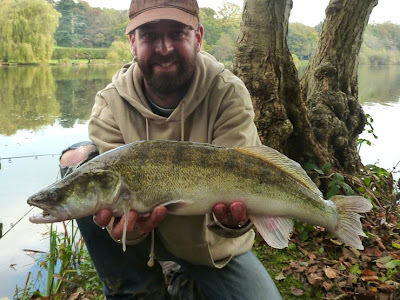 A history of zander and their UK distribution by Bob Roberts can be found here. And an interesting article on zander rigs and hooks by Jeff Hatt (Idler's Quest) can be found here.